Anyone who lives in Florida knows that the rainy season is officially upon us. 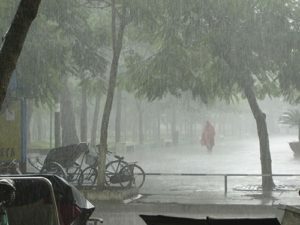 Between May and October air mass thundershowers build up in the heat of the day creating heavy downpours in the evenings. With this wet weather, paired with our Florida heat and humidity it is not uncommon to see mold begin to growth on walls, benches and other surfaces due to the damp air. Living in a place where the humidity in the air is natural high, mold can easily migrate into your home. This summer make sure to keep an eye on both indoor and outdoor surfaces around your home, and if you see anything suspicious call our experts at The Best Restoration. We will help to keep your home clean and your family safe!